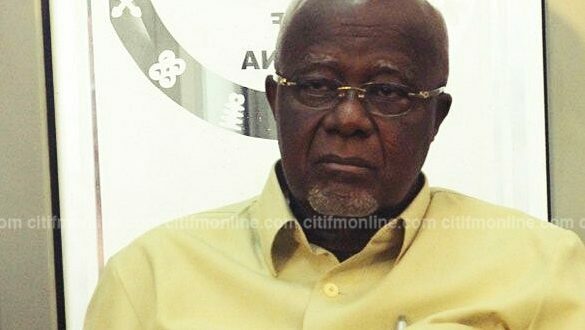 About 60 workers of the Ghana Cocoa Board (COCOBOD) in Kumasi have called for the immediate removal of their Board Chairman, Hackman Owusu-Agyemang. The workers have accused Mr. Owusu-Agyemang of usurping the roles of the Chief Executive of the company and denying the workers what is due them. 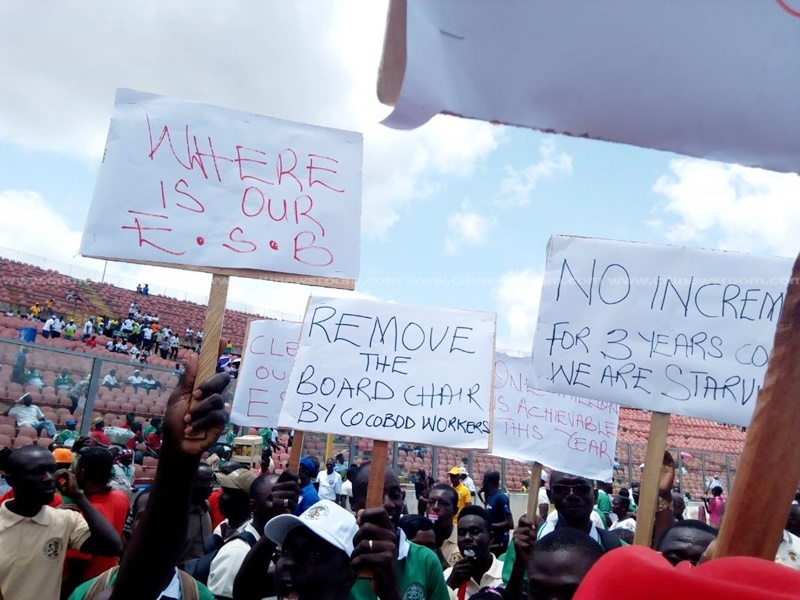 The angry workers, held placards at the May Day event at the Baba Yara Sports stadium in Kumasi on Tuesday, with inscriptions conveying their demands and called for the removal of the Board Chair. They complained that their salary has not seen any increment in three years, along with the fact that the monthly deductions made for retirement benefits are not accruing any interests. “Our salary hasn’t been increased for the past three years. Again, we have what we call the ESB [End of Service Benefits] which is the workers’ own money, which has been deducted and kept. There is no interest on that money so workers are deducted for that money, the ESB… There is nowhere in this world that workers will work for three consecutive years without increment so we are calling on the President to, as a matter of urgency, call for negotiation so that out salaries will be increased.” a spokesperson said. According to them, their management has agreed to release the ESB but has not received approval from Mr. Owusu-Agyemang. They have told the government to expect an escalation in their protests if their demands are not met.